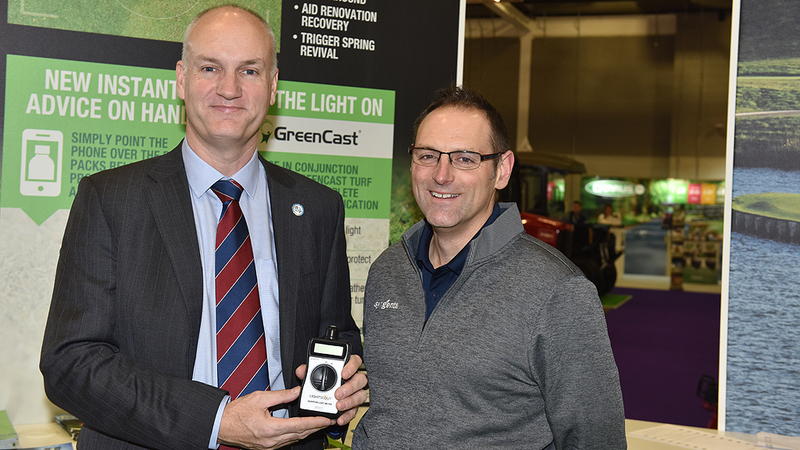 BTME Harrogate proved to be an outstandingly great success this year. 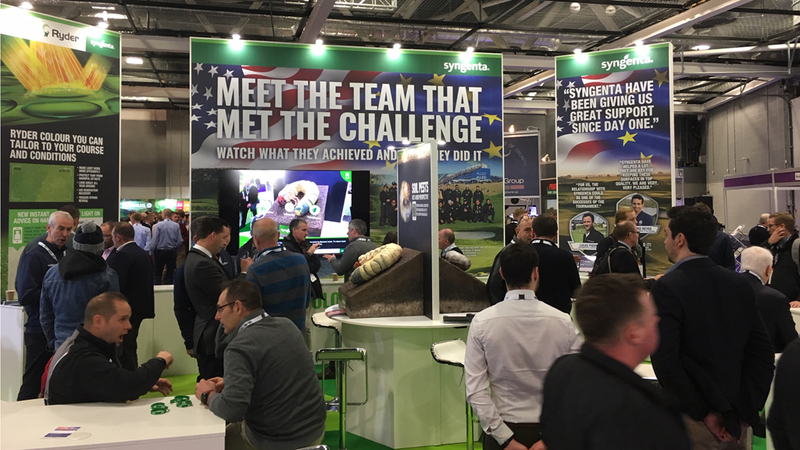 It was a fantatstic opportunity for all greenkeepers and turf managers to see the latest developments; learn from the wealth of education and experience some future technology that will aid decisions - and that was just on the ever busy Syngenta stand. 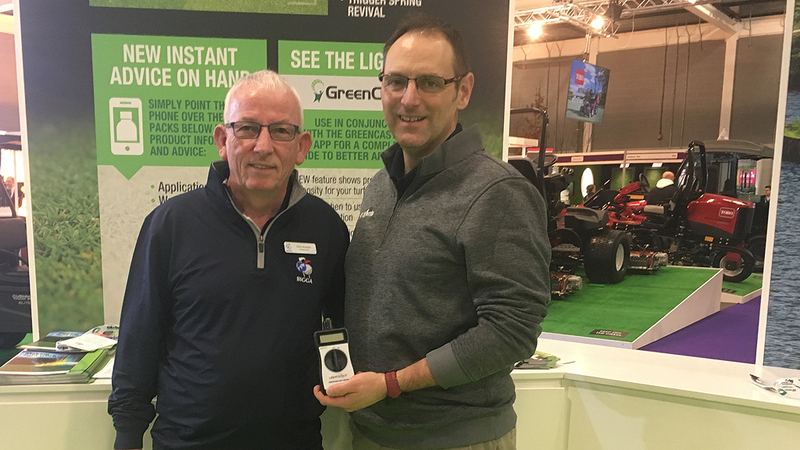 Each day a lucky winner of a powerful professional light meter was drawn from the stand visitors finding out more about Ryder turf pigment. Thank-you to Jim Croxton, Chief Executive of BIGGA (above) and BIGGA President, Chris Sheehan (below), for drawing the winners' names. Syngenta Technical Manager, Glenn Kirby, advocated that understanding the levels of light are hitting the surface, where and when during the day, is extremely important in making decisions to make light work more efficiently using Ryder applications. “Only a relatively small spectrum of sunlight can be physiologically absorbed and utilised by turf plants - the PAR light,” he pointed out. “Light waves at either end of the spectrum can be potentially damaging to plant tissue. “Furthermore, the amount of PAR light reaching open turf surfaces can be far in excess of the plants’ ability to photosynthesise and turn it into energy,” he advised. “Now we can start measuring the amount of PAR light getting to the plant we can begin to gauge what’s happening in the plant and monitor it’s impact, The light intensity measured by the Field Scout shows how intense the PAR light can be."